⦿ Are you a make-up artist who loves crafting glamorous faces? ⦿ Love to be a part of a world-class spa with the latest tools? Look no more. 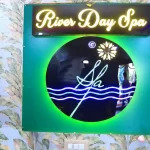 Come be a part of a young, dynamic and vibrant workplace at River Day Spa. Learn new skills daily with support from a great team. Master your art and scale new heights in your career. We are looking for candidates with previous experience in similar positions.